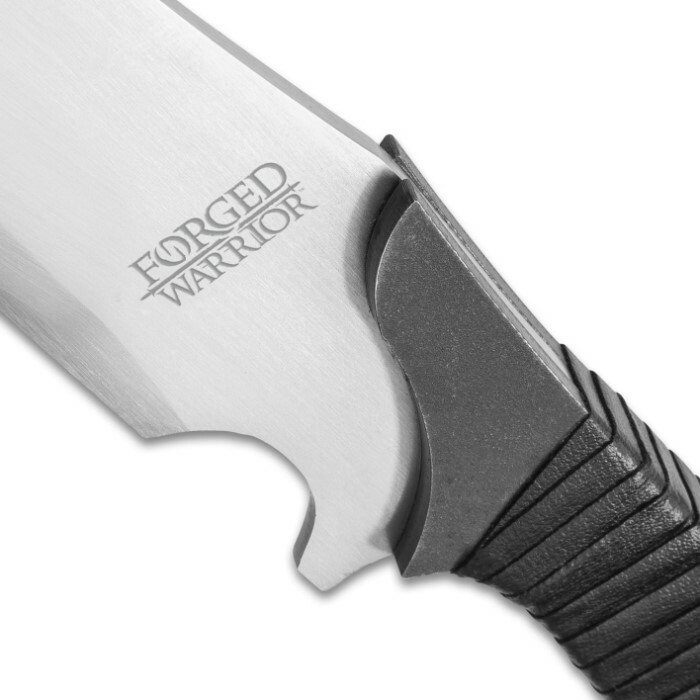 A modern-day warrior needs to have effective tools of the trade to work with when out on a job that requires quick and decisive action. 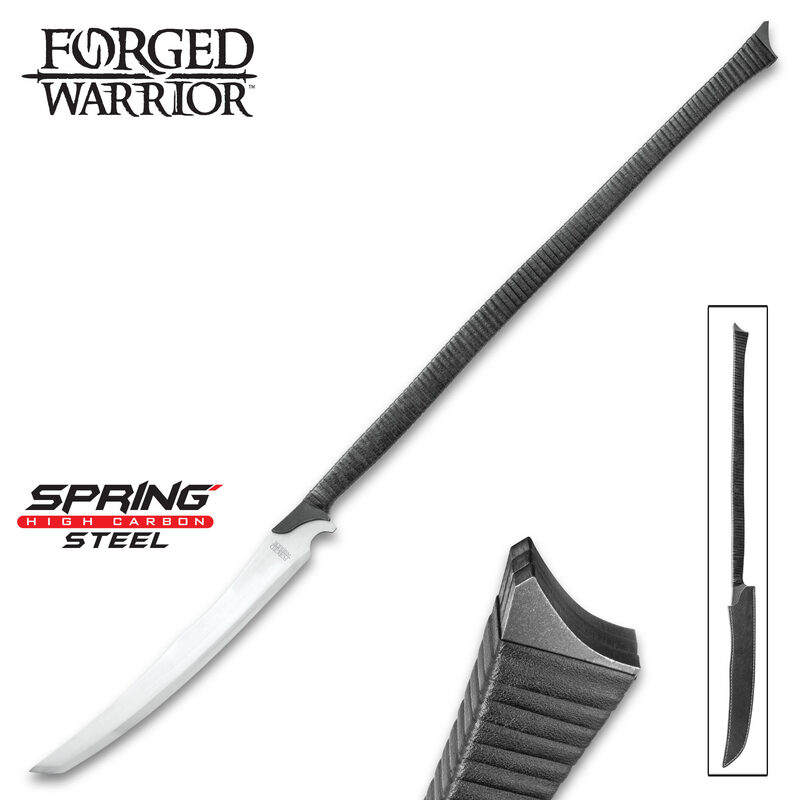 Our solid, one-piece 1065 carbon steel Forged Warrior Spike Knife will slash and slice its way through whatever dangerous mission you undertake. 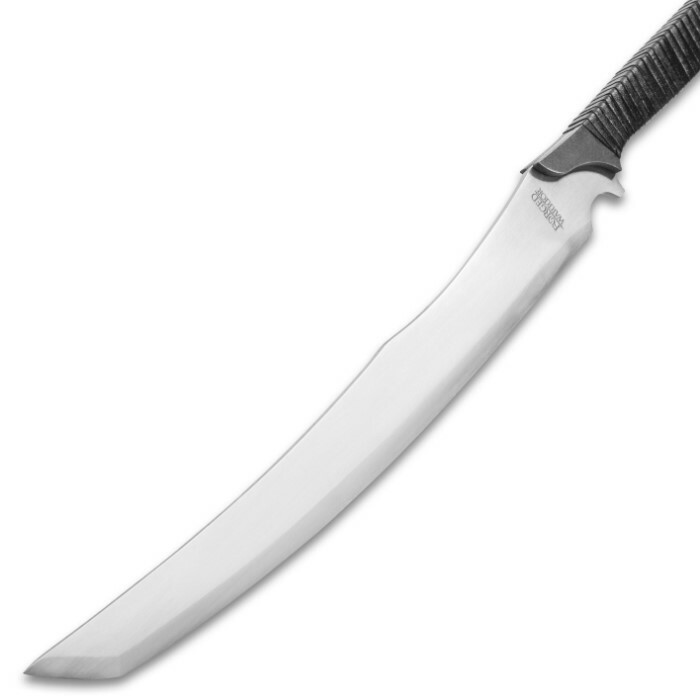 Its keenly sharp, 14 2/5” blade has a tanto point, which makes it built for serious action. 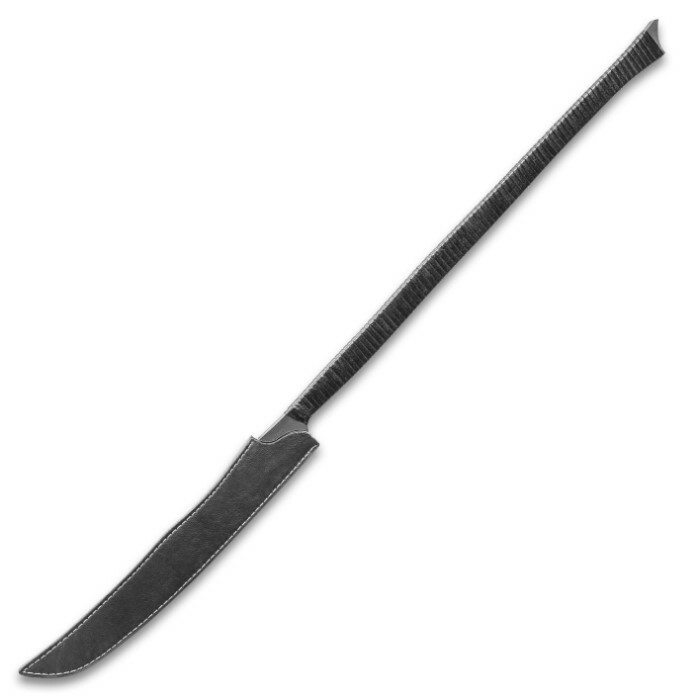 The polyurethane rope wrapped handle has a comfortable, no-slip grip to afford you maximum efficiency when using the spike knife.